Conquer red-eye flights and cross-country coach trips with the compact convenience of the Orbis Ultimate Travel Pack to keep you comfy. Nothing gets a holiday off to a bad start like an uncomfortable journey! Harsh airport lighting, rigid headrests and cramped seats are a surefire way to disembark stiff and cranky. Beat the travel blues with the Orbis Ultimate Travel Pack, designed to take any traveller round the world in comfort. 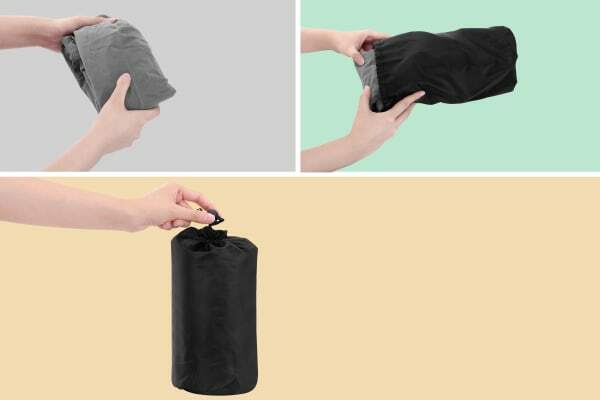 This essential kit packs down and fits easily into your luggage, with an easy to use air pump that lets you inflate the foot and neck pillows in minutes. 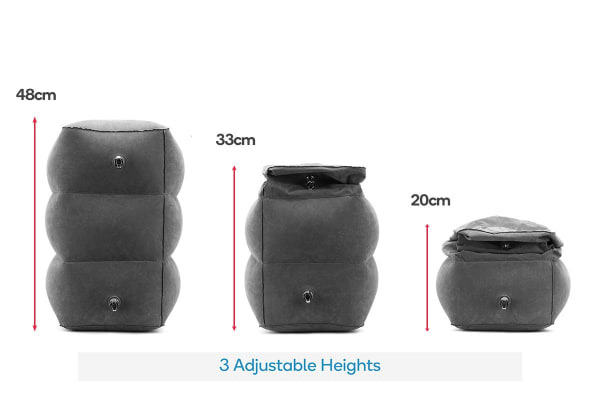 The inflatable footrest adjusts to 3 heights and may help improve circulation and swelling while in the air. It’s also ideal for filling the gap between your seat and the seat in front so you can extend your seat space, making it easier to put your legs up and get some rest. When you’re ready to sleep, slip on the eye mask to block out harsh light, rest your head on the comfy inflatable neck pillow, and pop in the earplugs to create a dark, quiet, and comfortable environment for rest. Reached your destination? 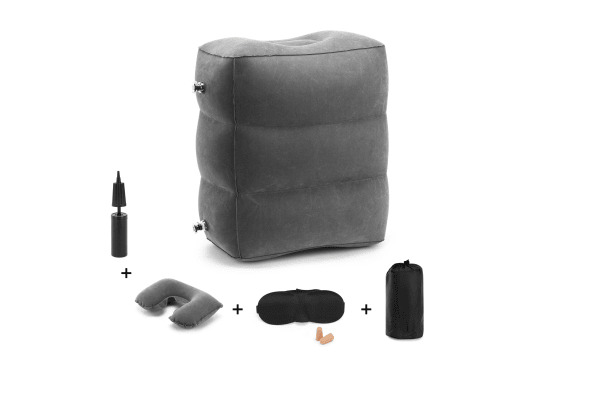 Simply deflate the neck pillow and footrest and pack everything back into the handy carry bag.